Ideal for storing chair cushions and patio accessories. Keeps stored items dry as well as ventilated. Heavy-duty lid makes this a multipurpose seating and storage solution. Easy assembly takes just 5 minutes without additional tools. The Capri Garden Storage Box is a simple and stylish storage and seating option. 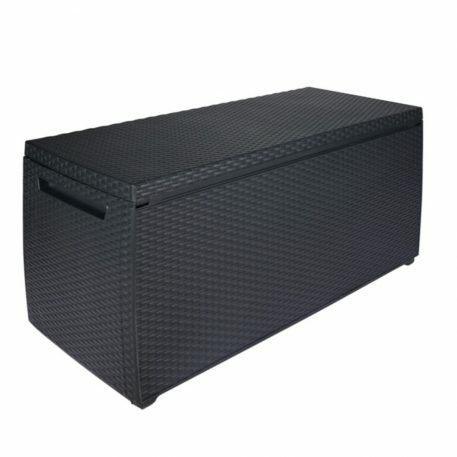 It’s made out of a durable and weather-resistant resin that stores 302 L/80 G and supports up to 250 kg/551 lbs on its lid. It’s easy to assemble with built-in handles and rollers to make moving it easy. It features an attractive rattan-style texture.